Two looks in one make these earrings by Kiki McDonough an irresistible buy; featuring a dazzling green amethyst cushion drop on an elegant 18ct yellow gold and diamond hoop. Wear the hoops on their own or add the drop for a different look. 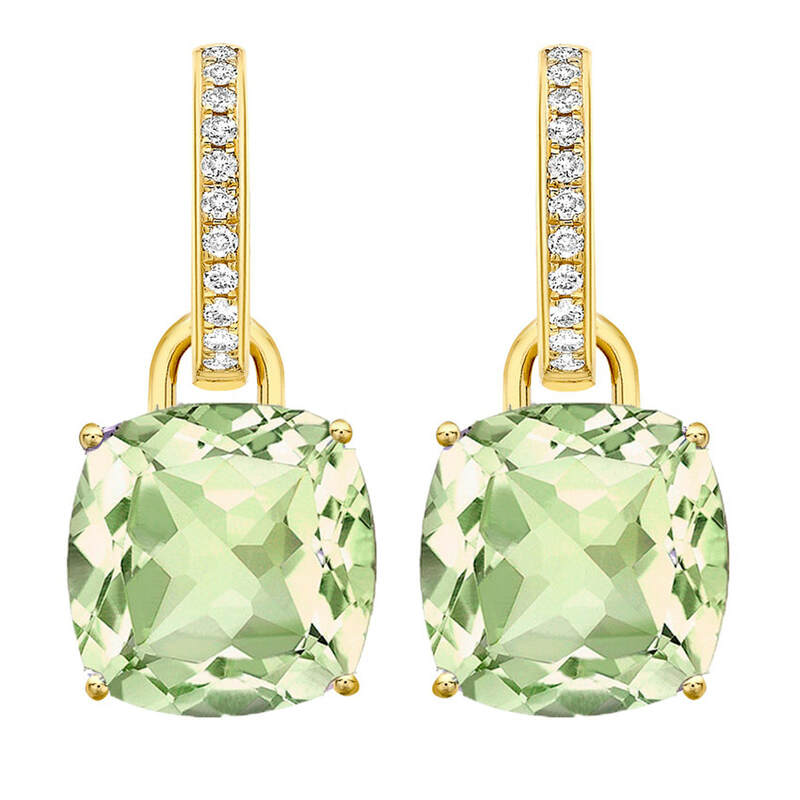 STYLE FILE: Kiki Green Amethyst Cushion Drop & Diamond Earrings as seen on Kate Middleton, The Duchess of Cambridge.